Update: I have a new version of the weekly shopping list available, and also I have come up with a weekly meal planner to help you work out what you’re eating and when. I don’t know about you but the weekly trip to the supermarket it a dreadful experience for me. Yesterday I was left with a list and asked to go. No problem except the list only had 3 things on it. Cue me wandering ’round the house for 20 minutes trying to figure out what we needed.There has recently been a conversation on the Analogue GTD group about managing Grocery/Shopping lists and I decided to take some of their advice and organise my shopping habbits.Each week we have roughly the same thing so it seems stupid to write out a new list each time, invariably missing something off, so I give you the “Weekly Shopping List”. The list consists of all of the groceries that I tend to get every week, on the top is a small magnetic clip so I can stick it on the front of the fridge. The idea then is that whenever anyone uses something they either check it off to say it needs replacing or write down the quantity of the item needed. The list is organised (as best I could do) in the way that my local Tescos is laid out, aisle by isle and there’s space at the bottom to add extra goods. As most supermarkets follow a similar layout it shouldn’t matter where you shop. Hopefully it will help you to get around the store in a more organised (and therefore quicker) way, without worrying about forgetting anything. Of course, it doesn’t stop you having to put up with the morons in the store but it’s a start! I’ve made big savings on my shopping bill by going back to lists. But I can’t stand sauntering around Sainsbury’s with a sheet of paper, going back to the aisle where I’d missed the orange juice. This is a brilliant piece of software. Three weeks of using the trial version and I’m committed to registering ($30). For shopping lists, it’s brilliant. Type in a list of the stuff you buy regularly (you can always add more as you go), then set a flag for each of the items you need on your next trip. Click on the flag button on your pocket PC and you only see the items you need. 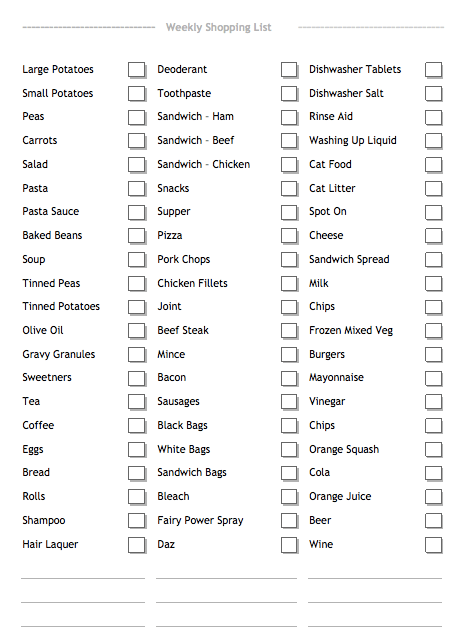 I’ve added a “”Sainsburys Aisle”” column, so that I can enter a number for each thing on the list. (E.g. 75 means that the item is about half-way down aisle 7). As I begin I just click the Aisle column and everything I need to buy is sorted into the best order for a speedy trip. 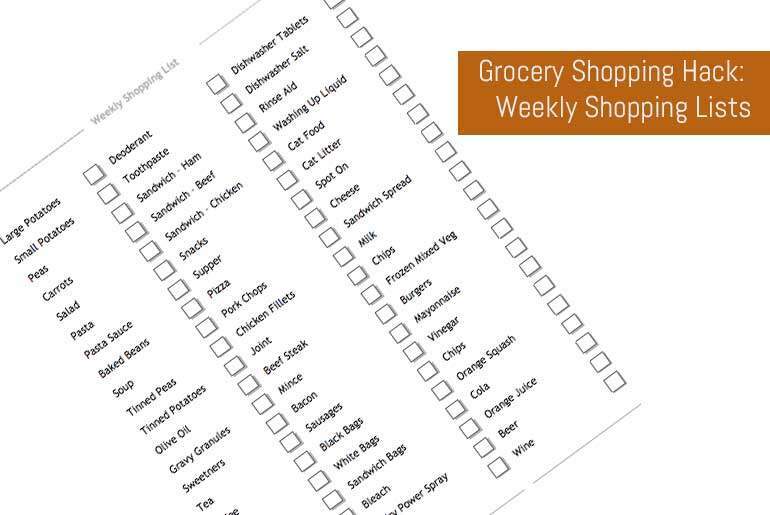 “I’ve tried doing this in Word a couple of times, but but but my stupid grocery store will reorganize everything and then my carefully crafted list goes kablooey. So now, my wife and I make out a randomly ordered list through the week. Before I go out, I get a fresh sheet of paper and either mindmap the basic areas of the store or draw boxes on the sheet. I walk through the store in my imagination and re-copy the list so that all the produce is captured in one place, dairy in another, etc. Takes very little time to do.